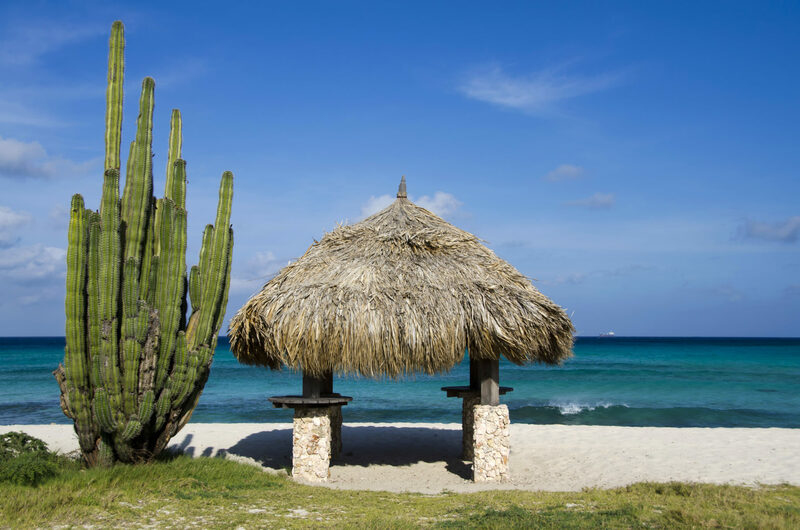 Aruba is known for having more than 360 days of sunshine a year. This small island off the coast of Venezuela is appealing not only for its dry, sunny weather, but also for its beautiful sandy beaches and gentle surf that’s great for swimming. 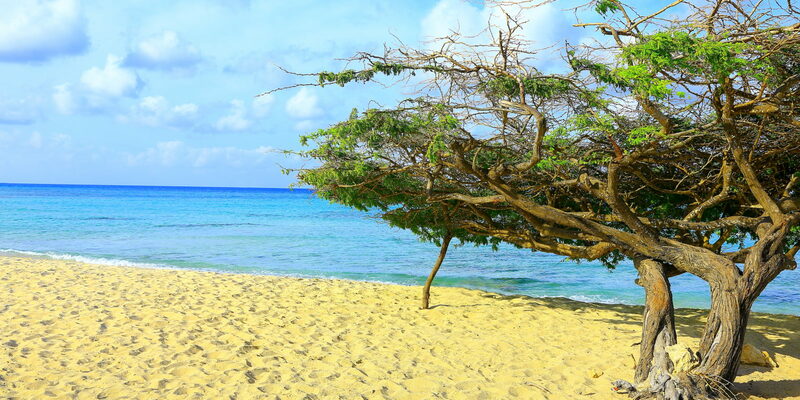 Trade winds bring cool breezes year-round and create those iconically Aruban, southwesterly sloping divi-divi trees. During my first visit, I felt like I had not left the U.S. — almost everyone spoke English, and American tourists were plentiful. On follow-up visits, however, I started to notice the European influences in the architecture and food. By my third visit, I had picked up a little Papiamento, the local tongue. 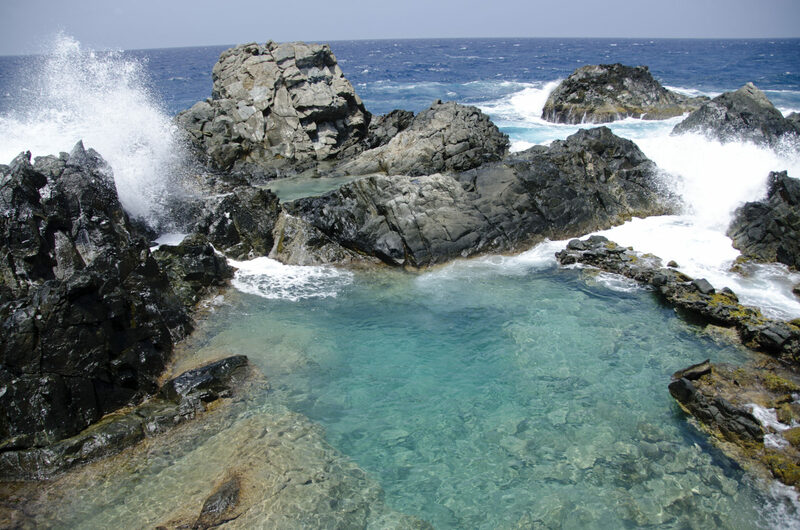 On the northern part of the island, tucked into Arikok National Park, you’ll find the Natural Pool, also known as Conchi in Papiamento. Few things are better than hiking the rough, rugged, rocky terrain where sea and desert meet and Conchi is the perfect place for such an adventure. In Arikok, I explored black sand and stone beaches with natural bridges in the rocks, and my group had the place to ourselves. In addition to hiking, you can also try horseback riding and ATV riding at Arikok National Park. Located on the island’s western coast in the Pos Chikito district, Mangel Halto is one of the best places to go stand up paddleboarding. 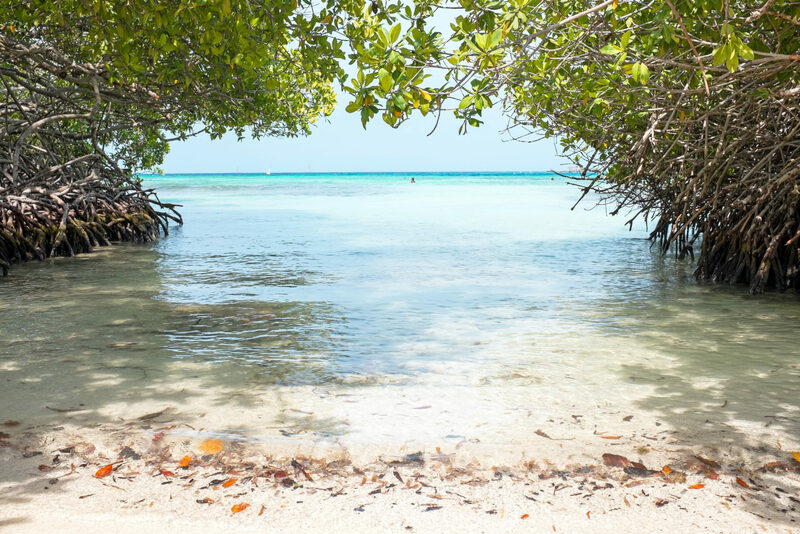 The secluded beach is quiet, and the water is perfect for drifting, slowly moving along either by floating on your back or while lying on your paddleboard. Locals often head to this beach to enjoy a picnic while the kids play under the trees or splash in the water nearby. Arashi Beach. This stretch of sand is often quiet and has great snorkeling. It’s also surprisingly close to the action — just a ten-minute walk from Malmok. Boca Prins. If sand dunes are your thing, this is the place to be. It’s only accessible by four-wheel-drive, but it’s worth it for the beautiful backdrop. Hadacurari. I’m not great at kite surfing, but I learned at this beach and I always give it a try when I’m there. If you’ve had your fill of beaches, head to Mount Jamanota, the highest point on the island and the spot with the best views. Gostoso. 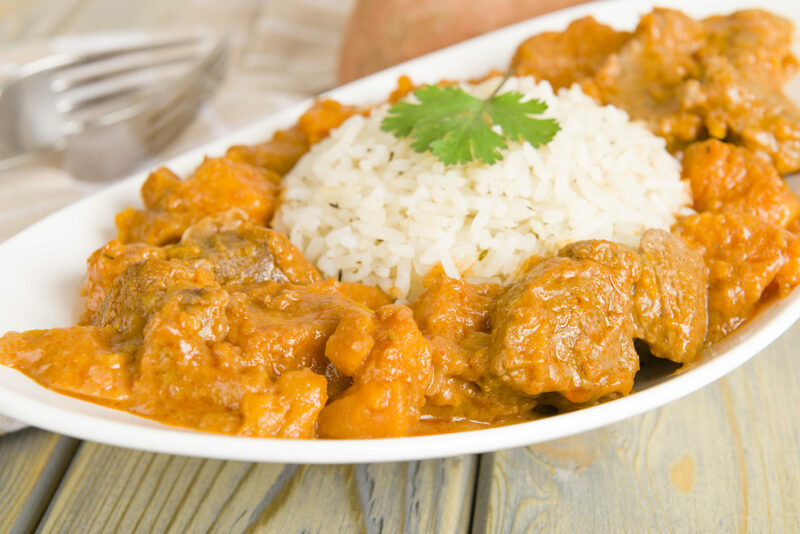 This cozy spot is popular with the locals and serves up a combination of Portuguese and Aruban cuisine. I especially like the bacalau (salty codfish), conch and creole sushi rolls, as well as the fresh catch of the day. Marina Pirata. I like this place when dining with the kids. Little ones are notorious for not being able to sit still, and at this restaurant they don’t have to. Located right on the water, with outdoor seating, kids can play in the fresh air while parents sip cocktails and take in the sunset. As for local specialties, while you’re on the island, definitely try the goat stew — after getting over my initial hesitation, I realized it’s really quite nice, and mild in taste and texture. Plus, don’t forget to try the island’s signature drink: the Aruba Ariba cocktail.